Results of a recent poll indicate a discontinuity between views on the meaning of democracy and what constitutes democratic leadership. A recent poll conducted by the Public Opinion Foundation (FOM) provided new insight into how Russians feel about democracy – and what they think it is. According to the survey, the majority of Russians believe that democracy is important, but a third of respondents were unable to explain what democracy is. Forty-three percent of those surveyed said that democracy was democratic rights and freedoms, such as transparency and freedom of the press and freedom of speech. This number is down significantly from previous surveys. In a poll conducted by the All-Russian Public Opinion Research Center (VTsIOM) in 2007, 55 percent said that democracy was freedom of speech, the press, and religion. In 2010, the number had already fallen to 44 percent. Sociologist Olga Kryshtanovskaya attributes the lack of awareness to flaws in the Russian educational system. Although the poll respondents were mostly unable to define democracy, a third of them said that Russia today has as much democracy as it needs. According to Kryshtanovskaya, this is because the general assumption among Russians is that democracy is synonymous with freedom. According to Irina Osipova, an analyst with FOM, the majority of Russians understand democracy as related to a set of values rather than as public participation in government. Osipova, however, does not agree that defining democracy this way means that Russians don’t know what democracy is. “I don’t think this shows a lack of understanding of the subject matter,” Osipova said. “It is easier for respondents to express the opinion that manifestations of democracy are more important than the school definition.” Nevertheless, she did agree that a lack of education could explain the responses. “Social studies and sociology have been taught in schools only recently,” Osipova said. Until 1992, civics was taught in Russian schools, but the subject matter was examined through the prism of Marxist-Leninist philosophy. In 1992, this subject was removed from the school curriculum. In 2000, a new subject, social studies, was included in the federal curriculum, beginning in middle school. The respondents’ definitions of democracy seem at odds with the response to another question in the FOM poll, which asked what period in Russia’s history was the most democratic. More than a third of respondents – 37 percent – didn’t answer the question, but 27 percent said the current period; another 12 percent named President Vladimir Putin’s first two terms (2000-2008). Poll respondents also selected Soviet Premier Leonid Brezhnev as Russia’s most democratic leader. Although many may consider the Yeltsin years as a period of freedom, those polled did not associate them primarily with democracy. 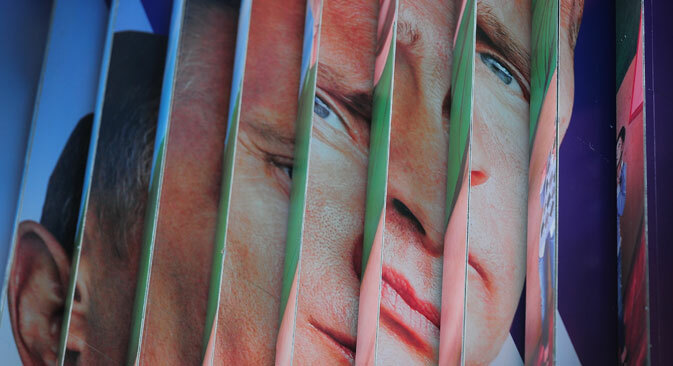 What is the link between economics and Putin’s popularity? According to Kryshtanovskaya, this dichotomy can be explained by the prevailing negative view of the Yeltsin years. “People understand democracy to be something good, something that we should strive for,” Kryshtanovskaya said. Valery Soloviev, a professor at the Moscow State Institute of International Relations (MGIMO), said that in naming Russia’s most democratic politicians, respondents are confusing “democratic” with “popular.” "Certainly, Putin is the most popular leader in post-Soviet history. But even at the most positive attitude towards Putin it is impossible to tell that he is the democratic politician." Irina Osipova, on the contrary, says that it is impossible to speak about any growth or decrease in civil activity. "There are no dynamics; it was quite low, and it remains so,” Osipova said. This view is backed by an August survey by the analytical Levada Center, which revealed that only 3 percent of Russians were interested in actively taking part in the political process and that 76 percent were not interested in participating at all. Read more: Does Khodorkovsky want to return to politics?